This past year we ended up celebrated the Easter holiday at our house with the Cianciotto contingency of the family. This meant we didn’t have to travel four hours to Pennsylvania so I was pretty psyched to be able to chill. 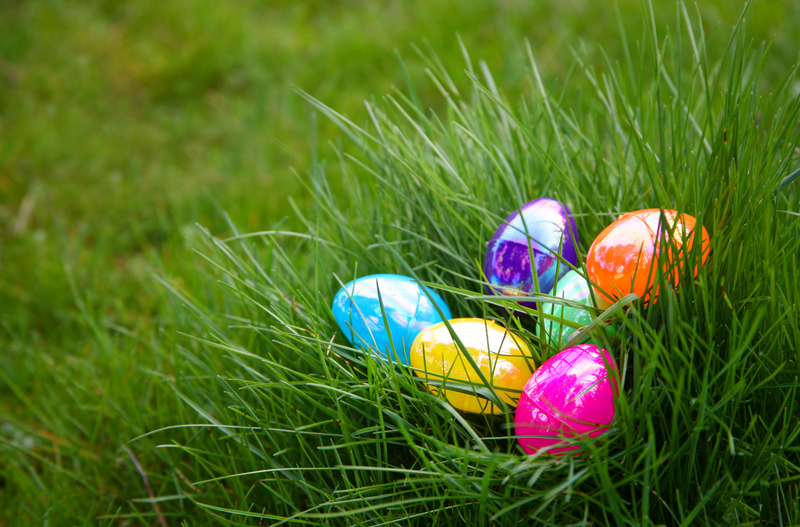 What is cool about being at Jen’s parents’ house though, is with something like 18 grandchildren, they do a pretty full on Easter egg hunt which the kids lose their minds over. So this year Jen bought about three pounds of crap and trinkets from the Oriental Trading Company, as well as like 48 empty plastic eggs. Anyway, we filled them up and I hid them all around the backyard. 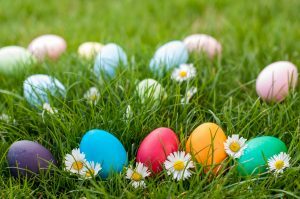 The good thing is unlike Christmas, where you’ve got to pretend everything is done by Santa, with Easter, it’s a bit more laid back and the kids get that you’re ‘helping’ out the Easter Bunny by hiding these eggs yourself. Of course, the entire time I’m out back I can see the two little nuggets watching me through the windows. In addition to Hannah and Sophie, we had my sister’s two, eighteen month old twins who the girls call Anna and Elsa…from Frozen…if you didn’t catch that. And if I’m being honest those two names kind of stuck with me as well, so Anna and Elsa it has been. Also, we invited our next door neighbor’s two three year-old boys who also happen to be twins too. I figure as long as they’re a good decade away from puberty they’re still welcome on my property. Anyway, after a good twenty minutes I was able to strategically place all four dozen plastic eggs around the back and it was game on. Hannah and Sophie being the oldest and most familiar with terrain made their way out to the yard and were just egg hunting machines. The two three year old boys next door seemed more interested in playing with our swing set, so we had to do a bit of coaxing with them, but once they got bitten by the bug they got their heads into it too. My sister who would be late to her own funeral, showed up almost an hour later with Anna and Elsa in tow. It actually worked out just as well because, being eighteen months old the concept of an Easter Bunny is about as familiar to them as an insurance seminar and we got the chance to make the experience special by guiding the girls to eggs set up just for them. Hannah got a kick out of helping them and making a fuss. It has been so rewarding to see her settle into the role of big sister and elder statesman of the kid collective in our neighborhood. It was also another reminder of how much more fun life becomes when you get to experience it through the eyes of a child. And as much as you think you do these things to make the nuggets happy you quickly realize it’s just as much fun for you, if not even more so, because as a middle-aged fart you know just how fleeting these moments can be. Anyway, it was a fantastic day and just another example of how amazing it is to have kids at the center of your life.